Long by mcneilmahon at Garmin Connect – Details. It’s been much too long since I last ran – 18th January in fact, which is well over three months, and to mark my return to the roads obviously I overdid it, running six kilometres after having had a handful of pilates classes and a couple of quick gym visits since that last run last January. Fitness-wise, things have been bad recently. I’ve put on at least three kilos since new year, I’ve had problems with the knees, the feet and most recently the back, and I’ve done next to no physical activity. So spending the Mayday holiday running six kilometres was a big step forward, even if I did celebrate it with a big barbecue right afterwards. And there were no thoughts at all, I’m afraid. Simply focusing 100% on what my body was doing. I’m now so concious that I’m such a bad runner, that I’m always overcompensating for some injury or other and so therefore am always running unbalanced and favouring something, that I simply focused the whole time on trying to run as upright as possible, trying to bend the knees to provide some bounce and save them from some swelling, and to keep my stomach in and my back straight. Although stiff today, I’m pleased that I managed not to hurt myself with all this overdoing it and can already think about my next, more staid session. It should be tomorrow but won;t be, because we’re off to the book fair, but hopefully the weekend will bring more kilometres, more balanced form and maybe even a thought or two. A successful and satisfying 10km yesterday, after a full day’s work, which had begun with lots of blog work, continued with coordinating and finished up with the run and Lorenzo’s OIl. The run was the first time in a while that I’ve left the security and proximity of the small lake of Palermo and extended my run out to the big lake. This is my classic 10k route from home out to and round the big lake and then down to and round the small one. There was actually a lot more pondering than plodding during the hour and pico that I was out as I was going at a pace of 6:30/km for mostof it and managed to keep it going throughout the 10km. Unbelievably, I managed to distract myself so much with thoughts of blogging and commenting on all things Dogme so much that I missed my turn off and got a little lost around the small lake – ridiculous behaviour. Why is it every time I get close to accepting Dogme someone annoys me with their ‘overeagerness’ for the cause? Is it something about them, the disciples of dogme, the Dogme-gicians as I’ve decided to call them, or is it something about me? Am I too unforgiving, too eager to criticise, too cynical? What is Dogme? Noone, even among the Dogme-gicians, seem to be able to agree on whether it’s an approach, a method, a technique, a tool, an attitude, a lesson type or an irrelevance. And does it matter? I think it matters if people are passing it off as something it’s not (e.g. an approach), at least to me. I don’t like people exagerrating the cause. Am I close in my idea of it as a reflection tool? How do I go about deciding? Discussing each possibility in a blog post? Having had a lump of fat chopped off the top of my head on Friday I was torn between running the long I like to run on Sundays and taking it easy again with the excuse of not wanting to risk an adverse reaction. Once I got going, the adrenalin of this morning’s blog post and the litre of Mate I drank this afternoon while correcting IH DoS Skills and IH CAM homework assignments kicked in and long it was. A pleasing long it was too, since I managed to keep the pace up, enjoyed weaving in and out of the throng you get at the Palermo lakes on a Sunday evening and I was even able to do a little thinking too while I was at it, which makes a change on my previous post injury runs. Should the Delta course be more Dogme oriented in teaching style? Well, it will have plenty of Q&A opportunities and I’m happy to let the candidates lead what they want to discuss during the sessions I lead. Time will tell how free and easy things become since it depends a lot on the candidates and their learning styles as much as anything. When replying to the blog comments I should be as thankful and conciliatory as possible – I don’t want to get myself a reputation for being a gruff critic now, do I? But at the same time I’m still amazed at how so many Dogme supporters feel the need to comment and use overexaggerated examples to protect their darling (Who would ever take five course books into one class?). This is the thing that really grates about the whole phenomenon. There I was trying to convince myself that Dogme might be quite a useful reflective tool after all and then they go and get my goat up for no reason. Are all revolutionaries like this? Is it because it won’t be televised? Perhaps my next step will be a follow up blog post on my second year of teaching – The Prague School. I was lucky, very lucky indeed with the teachers I had around me, the people who came to watch me and the students’ responses to me as well. Time to pay tribute to all these people? Might be readable. No running tomorrow, but the three Ds lie ahead – Delta, diet and (hopefully) more Dogme debate. Long in Montevideo by mcneilmahon at Garmin Connect – Details. Another late entry and unfortunately it’s going to stop here as far as running roads is concerned for a couple of weeks. It was a hot, hot afternoon as I plodded up and down the lovely promenade of Montevideo after my morning exertions for Macmillan (Feedback Fiesta and Correction Celebration at IH Montevideo). Little did I know that there was a 10km race planned for 5pm so I was surprised to see few if anyone out sharing my run with me and then the police closed the coast road for me to run on. 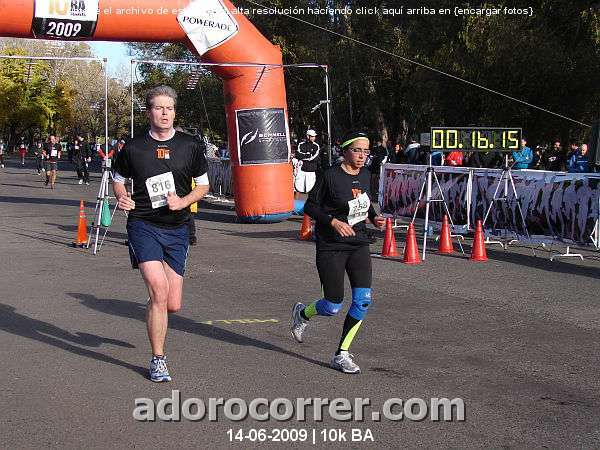 Having laughed at all the people running last Sunday in Puerto Madero after the Nike 10km (why didn’t they join the rest of us in the race?) I found myself unwittingly in the same boat. I wanted to be wearing a t-shirt that said ‘I’m flying out of here in an hour otherwise I’d be running with the rest of you’. And unfortunately I felt a twinge in my right calf in the last of the 8km which I forgot about as soon as I stopped running but remembered as soon as I tried to go out again the following Tuesday – after a single KM I had to stop for the tightness. Hopefully I stopped quickly enough and I won’t be resting for long, but I won’t try again until I get back from Sao Paulo to ensure I have a good rest of it before I go again. Got to keep fit for the summer and make the most of the time I’m going to have to run as well as trying to keep the Christmas kilos at bay. You might not believe me cos I haven’t got the Garmin proof to prove it but I ran an 8km long on Sunday. Was planning to run again yesterday and then Thursday leading up to the race on Saturday, but it was the father-in-law’s 75th birthday so that plan was postponed until today, when i managed to add a km and get to 9km in just over an hour. Means I’m pretty confident I should get to 10 on Saturday. I’m improving my form all the time, but it takes a lot of mental effort to get the body to behave itself. If I’m not thinking of my knees, or my feet, or lifting the quads or pushing forward through the pelvis then they start to slacken or go off centre or pain arrives. My worry with all this mind over body control is that I’m running too tense and so I’m trying to run relaxed too – so many things to think about that I end up thinking about nothing else. But it’s all good for me at the end of the day I hope. Random updates on my runs, especially the races and the ones that help me think.